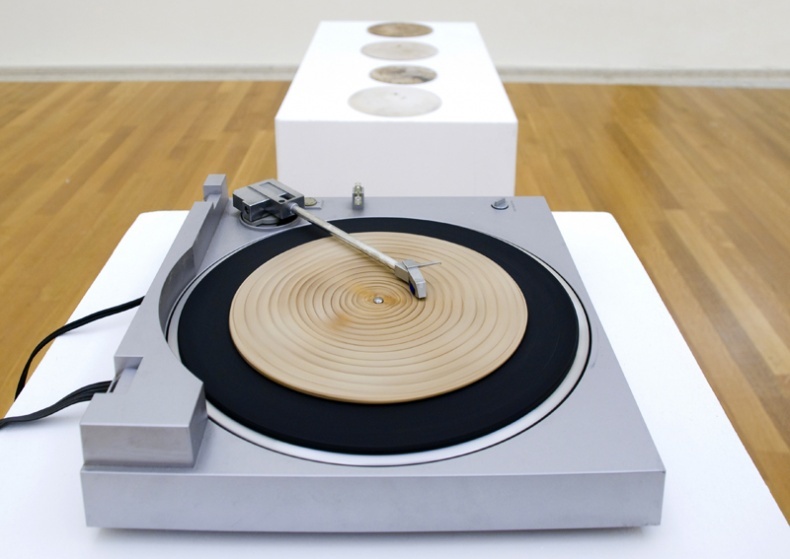 Elisa Strinna & Eva Cenghiaro: Wood Songs (2002). I've always imagined artists as those dreamy, detached-from-reality types who wander the streets of Toronto figuring out how to make our lives more colourful and beautiful. I've never thought that they can be successful managers, curators, and businesspeople running some of the finest galleries in the city. I was terribly wrong, and this is my way to apologize to all artists/gallery owners I've wronged with my assumption. It seems that it's precisely the artist in the lead that makes galleries like YYZ or G44 so unique on the current Toronto art market. Toronto is one of the top cities concerning arts and culture, with some of the best galleries in the country. Just have a look at amazing commercial or Inuit and First Nations galleries the city has to offer. However, all these Meccas of art would have no chance of surviving without the passion for the arts that Torontonians share. I personally don't know anybody who doesn't go to a gallery at least once a month. In this spirit, let's have a look at some of Toronto's finest artist-run galleries! AWOL is a very nice little gallery, about 500 square feet of mostly local art. They change their expositions quite regularly so you can always count on seeing new artists exhibiting their works there. 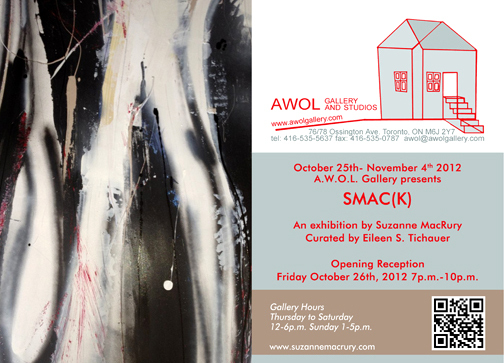 AWOL is one of the first galleries that opened in the Toronto Queen West Gallery District, and it's been up and running since 1999. Nowadays, you can visit over 30 galleries in the district — it's one of my favourite places to go on weekends. AWOL provides a unique environment within the district, acting as both an exhibiting space for artists and a place to obtain affordable studios, so if you're an artist I would definitely check them out. The gallery is run by its founding members Nurit Basin, Ross Bonfanti, Edmund Law, Pamela Rosales, Sandra Tarantino, Dale Thompson, and Paul R. Turner. My personal favourites are the works of Nurit Basin, which have been devoted to one of my greatest dreams of all time: the Volkswagen Beetle. As she wrote herself: "My Volkswagen Beetle is vulnerable, sensitive and human, unlike other work in which 'cars' represent mechanization and other themes that are literal to the subject." Her works represent the metaphor of our greatest fears, and our indifference towards them, resulting in the harsh reality of our days. Gallery 44 is one of the best places to go if you're interested in contemporary photography. This non-profit, artist-run centre was established in 1979. Gallery's 44 mandate is to "provide a context for reflection and dialogue on contemporary photography and its related practices." Gallery 44 houses both exhibition and production facilities for local and international artists. Moving to 401 Richmond was a great step forward for the gallery. It now shares the building with many other galleries, creating one of the most inspiring art-participation enhancing communities in the city. 401 Richmond also hosts building-wide arts activities and events including Toronto Arts Week, the Holiday Market Place, and the Festival of Sound, giving the gallery the right incentive to stay up-to-date. Gallery 44 is the only non-commercial facility of it's kind in Toronto. Gallery 44 also offers a variety of courses, so if you want to enhance your education in the area of photography, I suggest visiting one. Among many, I would pick Digital B&W Photography, The Panoramic Image: Theory and Practice and my personal favourite, Shooting Video with DSLR. 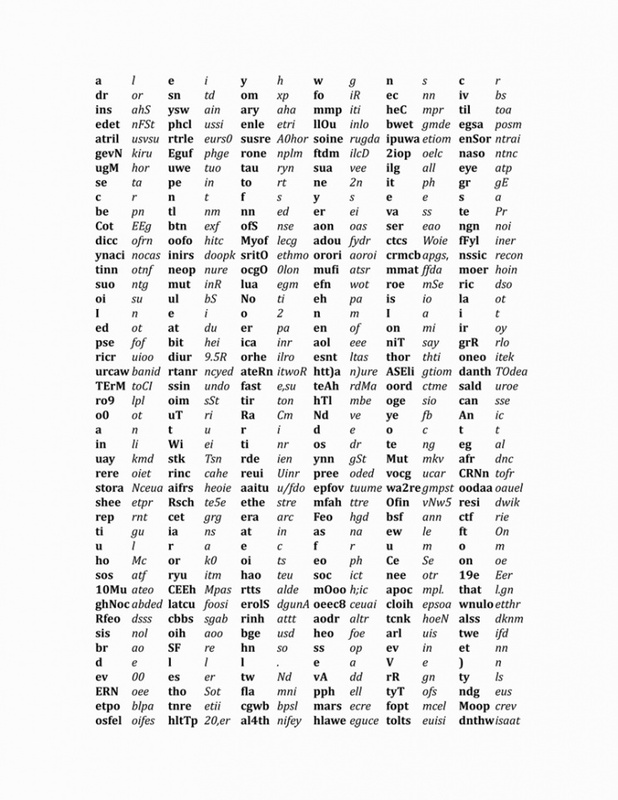 She subverts conventions of pictorial representation through surprisingly low-tech means: sculptural presentations of images that oscillate between three dimensional and two dimensional space, compositions that challenge the distinction between the surface of the image and the pictorial space that it constructs, and images that deliberately obstruct the viewers identification with, or imaginary access to the image. A Space Gallery has been supporting the contemporary art scene in Toronto since 1971 and is one of the oldest artist-run galleries in the city. Since 1982, the gallery has maintained an inclusive programming direction focused on work that is politically engaged, oriented around non-dominant communities, and supportive of innovative curatorial and technical practices. I have to say that Vicky Moufawad-Paul as the gallery's artistic director is doing a great job in keeping their exhibitions fresh and intriguing. The main reason I chose to present this gallery to you is the imagineNATIVE festival they're hosting. This year's 12th edition will run from September 22nd until October 27th and will be curated by Suzanne Morrissette and Julie Nagam. ImagineNATIVE is a film and media arts festival that celebrates the latest works by Indigenous peoples at the forefront of innovation in film, video, radio, and new media. I attended last year's edition and I was immensely impressed. YYZ is very creative in supporting artists, and I think they've done a great job so far. I think that they can be considered one of the main cultivators of the Toronto art scene. YYZ offers three programs: YyreZidency, YYZUNLIMITED, and YyretroZpective. YyreZidency offers residency to artists, turning the gallery into the site of their experimentation. YYZUNLIMITED invites artists to imagine and reinvent the organization as a site of opportunity through a series of interventions, the presence of which serves as material evidence of a lasting community that is not determined by the duration or protocol of the exhibition structure at YYZ. YyretroZpective is an artist-initiated and self-curated take on the retrospective exhibition. YYZ annually hosts usually twelve exhibitions alongside a number of other special programming events. Currently, the gallery hosts Brian Groombridge's small telescopes, under the YyretroZpective program. The exhibition is on from September 8th until December 1st. Brian Groombridge will be exhibiting sculptures and wall works, so this is a chance to view a selection of his production since 1989. In many instances, the art was only shown once and this is an opportunity to consider how particular works engage with each other. XPACE is a space dedicated to the promotion of young, emerging artists. It's also supported by the OCAD Student Union. I think it's crucial to support places like this because we can thank only galleries like XPACE for the more and more generations of great young artists that live and work in our city. One of the greatest things about XPACE is that their exhibition span is really responsive, so they always respond to current trends on the contemporary art scene fast. I really enjoy reading their blog from time to time; that way I always stay up-to-date with their exhibitions and latest trends. XPACE also organises the so called "Wing-Ding." These are informal events that are held on varied Friday evenings or Saturday afternoons throughout each month, with individual nights addressing specific themes. "Wing-Ding" are intended to be casual gatherings, encouraging fun and open discourse with regards to contemporary topics. Programming for these nights and afternoons includes but is not limited to: video screenings, readings, artist talks, performances, music, discussions, workshops, game nights, and art/art supply swaps — all of it great stuff, as you can surely see. I very much recommend you pay a visit! I have to say that Mercer Union has gone a long way since I first visited. The director of exhibitions, Sarah Robayo Sheridan, is really doing a great job in keeping my interest in this place. Mercer Union is another contemporary-oriented gallery that I want to draw your attention to today. Over thirty years of traditional Torontonian contemporary exhibitions: that's pretty impressive record right? Take for instance the upcoming exhibition. I've been looking forward to this for a really long time, and since some of the artists participating are my favourites, this might be subjective, but the exhibition is a total must among this fall's art events. 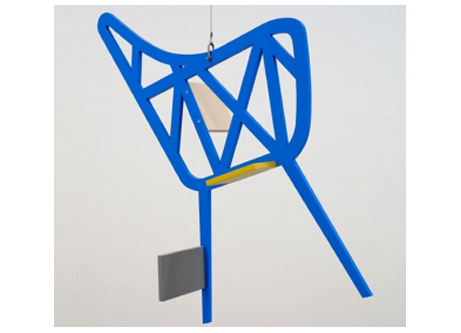 Hapax Lagomena includes Isabelle Cornaro, Julien Crépieux, Aurélien Froment, Mark Geffriaud, Cyrille Maillot, Benoît Maire, Benoît-Marie Moriceau, Bruno Persat, Chloé Quenum, and Raphaël Zarka and will be curated by Yoann Gourmel and Élodie Royer. It will be on from September 14th to October 20th. Hapax Legomena gathers the work of ten artists of the same generation together for the first time in Canada. The exhibition is also supported by l'Institut Français.